Bust My Buffers! 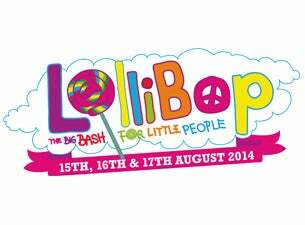 For the first time ever, Thomas & Friends™ will be making tracks to LolliBop. The whole family is invited to experience the world of Thomas & Friends like never before as a new interactive themed play zone, the Sodor Summer Fete, is launched at the big bash for little people. The line-up includes Justin Fletcher, Mister Maker, Mr Bloom, Sam & Mark, Michaela Strachan, Lazy Town, Postman Pat, Chris & Pui, Scooby-Doo, Andy Day and Cook and Line from Swashbuckle. Other activities and interactive areas, include the Skylanders arena, Join In with Southbank Centre, Science Museum Live and Tottenham Hotspur Global Coaching Team.